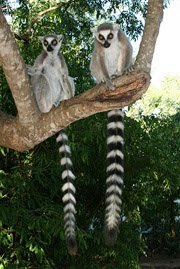 I just happened to look for news today and was shocked to find same day news out of Madagascar. The news is sad but comes just in time for me to feel extra inspired and purposeful about the work I am going to be helping with. As the politics remain shaky, the transitional government in place is allowing the export of illegally harvested precious woods as a source of revenue to support itself. All foreign aid has been stopped due to the forced political power in place. If the current structure goes on much longer, Madagascar runs the risk of being eliminated as one of the world's most biologically diverse hot-spots. Rosewood, palissander and ebony are the top illegal wood exports. Removing them not only threatens their survival but are also endangering the species on this island. You can help by not purchasing items made of these woods or by tracing the source of the wood prior to purchasing. This situation is of course only the tip of the proverbial iceberg when it comes to environmental injustice but we have to start with something. You can read more about this situation at http://www.irinnews.org/Report.aspx?ReportId=87978.